The Sewer Den: Reading Is Scary! Motels love their bibles. Without fail, every bedside drawer houses the thick piece of literature. Whether you're in the mood to repent or just need some light reading before bed, motel owners have you covered. What if I owned my own motel? I would model the place after The Sewer Den - Ninja Turtles everywhere. The walls would be covered in classic art, the shelves in awesome collectibles, and the beds would be draped in only the finest of TMNT sheets. As for the bedside bibles, I'd totally buck the trend. 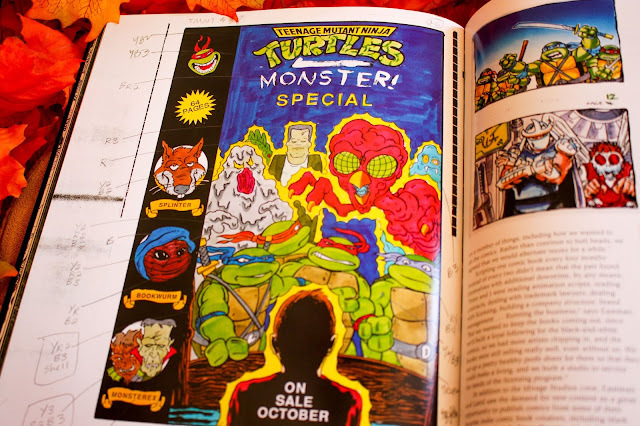 Sorry to the big guy in the sky, but my motel rooms would provide the mutated bible - the word of the sewers, Teenage Mutant Ninja Turtles: The Ultimate Visual History. Have you read this holy Half Shell book? 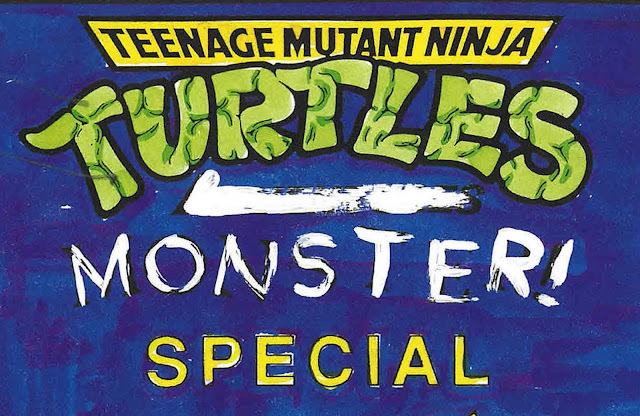 It begins with the early origins of TMNT and carries up until the 2014 movie was nearing its release. Between those big beats, smaller niche moments in TMNT history are given some love too. Fun toys, goofy merchandise, wacky events - so many iconic and not-so iconic moments are covered. Nickelodeon did an amazing job curating, fact checking, and bringing this massive undertaking from idea to book store shelves. The book truly is a beast. I still haven't finished the book after having it for years. I often poke around the pages, noticing new images and passages. With pumpkin spice percolating in my veins, I thumbed through the book searching for anything with a Halloween vibe. Like a stake to the heart (horror simile! ), I found something. Rewind to October of 1992. 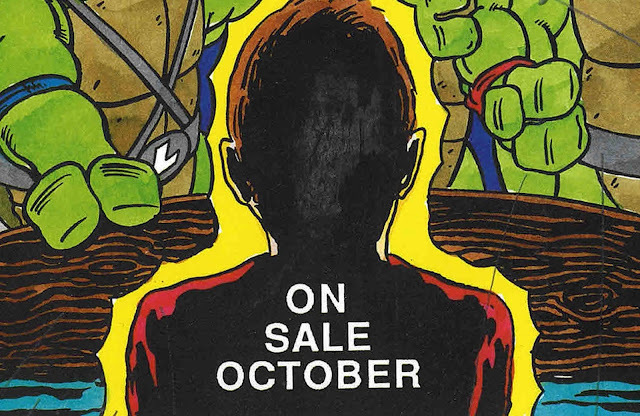 Just to place the time in TMNT history, this was after the 2nd TMNT movie, Secret of the Ooze released '91, but before the third movie hit theaters in '93. 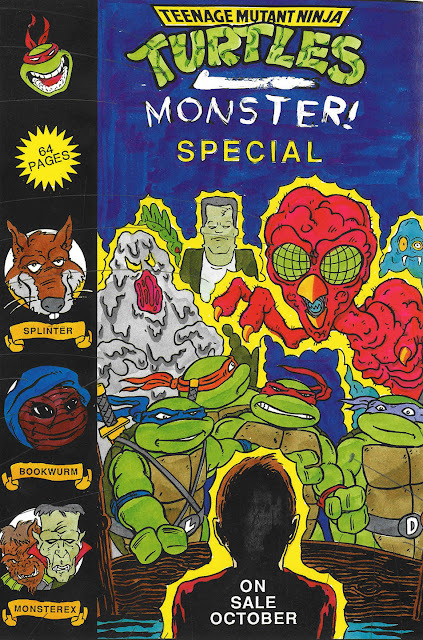 I found something in the book that might be better than both of those movies - a spook-tacular work-in-progress comic cover for the TMNT Monsters! Special. There are no Halloween specific visuals, but the art still oozes monstrous perfection. All your favorite freaky pals are here. There are a few unfamiliar (to me) faces too. I stared at the art like it was a Magic Eye, glazed over and in a fog of ghostly appreciation. Just look at that title artwork. It's oozing with the aura of a classic horror movie. Muted, scare-induced colors with a scratchy font evoke the Halloween feels. And there's an exclamation point. That's a bold statement. I don't own this issue. I searched for a copy, but had no luck. For now, the Ultimate Visual History's single image will have to do the trick. 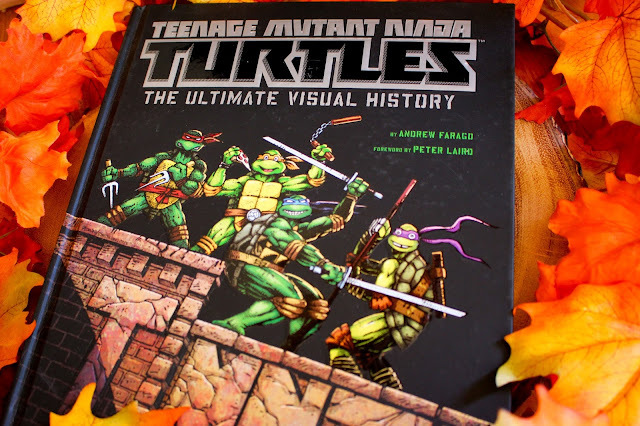 If you find or have a copy, consider your TMNT collection armed for Halloween. Place the issue right next to your motel bible because it's top drawer reading during the spooky season. I would stay at a TMNT Hotel for sure. I have the same vision for Airbnb rooms. More of a Nerdbnb. Trick them out in different themes. Marvel, MOTU, TMNT, 80s TV shows and movies. I'm currently working on some Spidey themed furniture myself. Check me into this place! Sounds awesome. And share those photos when you complete the Spidey furniture! Nice blog, your work is great and I hope for some more nice posts. top 10 boarding school in delhi Continue writing such a nice blog. It’s hard to discover fantastic composition like yours nowadays. And also here I got new ideas and guidelines. Thank you so much for your great sharing.